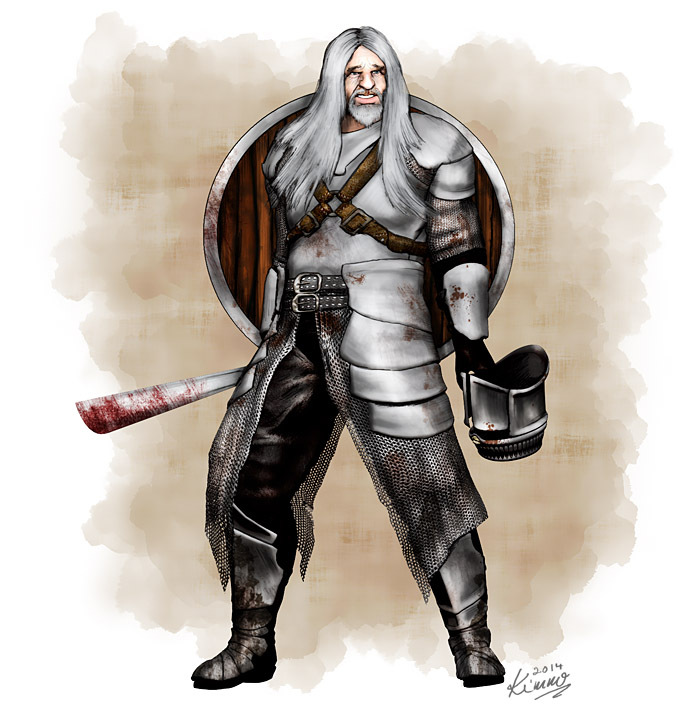 Count Cory Cormagh leads the county of Inhal Org situated in the south-western corner of the Kingdom of Akron. Cormagh is a fearsome warrior with a huge stature he wears with self-conscious composure. He loathes delegating things and as such meddles with nearly all aspects of his county leaving little time for anything else. He is widely thought of as a wise old man and his rule is considered just and fair. However, while capital city Cormael bathes in prosperous sunshine, dark clouds deepen the shadows in the south with groups of smugglers, bandits and even pirates roaming about and causing havoc.